The last article I posted yesterday was about Taylor Swift on the Golden Globe party circuit and how she and Jake Gyllenhaal ended up at Chateau Marmont at the same time. According to US Weekly, Jakey was on the dance floor and when she saw him there, Taylor came down with the drama in the bathroom and looked like she was being comforted by Cara Delevingne. At one point she was also supposedly pacing the lobby and her eye makeup was smudged. Was it a bad trip or was she feeling the Jakes? Click here for a refresher . There’s been a lot of talk of free speech over the last week or so. Star after star got up on stage to support freedom of expression at the Golden Globes. Meanwhile, while they’re walking the carpet, they’re accompanied by their publicists who closely monitor what questions they should and shouldn’t be asked. These rules are also applied during junkets and other media opportunities. And if those rules are broken, media outlets are reprimanded or frozen out, struck off the list the next time the actor has something to promote, unless of course you agree to their message – the only message being the one they’re actively enforcing. And the media outlets, because they need to maintain an audience or attract one, have to comply because they can’t risk not having access to that star in the future. More often than not then, the star controls the conversation. Can there be free speech in an imbalance of power? 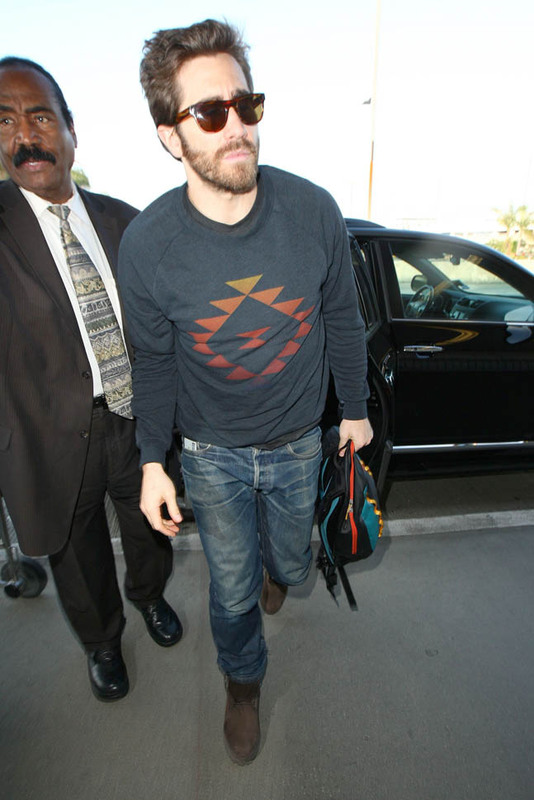 Attached – Jake Gyllenhaal returning to New York from LA.